To write an introduction for Sherlock Holmes is a daunting task, it’s akin to writing an introduction to Shakespeare. The influence of Holmes is everywhere and in every culture on the globe. In the literature of Western Civilization, it’d be reasonable to state that Homes’ influence pales only in comparison to the Bible and Shakespeare. Holmes is quoted in productions as diverse as Star Trek VI and the Glenn Beck program. The basic facts of Holmes are well-known to nearly every literate person on the globe. He was the creation of Sir Arthur Conan Doyle and made appearances in fifty-six short stories and four novels. He solved cases from 221B Baker Street in London with the assistance of his faithful companion, Dr. Watson. Holmes became so popular that Doyle couldn’t get away with killing him. Holmes is one of the few true timeless characters in literature. His canonical adventures may have been set in the late 19th and early 20th centuries, but in the hands of a competent author, with a few modifications, Holmes could show up at a medieval castle or on a starship and still be a powerful character. Every detective story that enjoyed any success in the past century, even if written as the antithesis of Holmes (such as Dashiell Hammett’s Sam Spade), owes something of its success to Doyle’s great detective for getting the public interested in the genre. Edgar Allan Poe’s C. Auguste Dupin may have been the first true detective in literature and an inspiration for Holmes, but even Dupin owes something to Holmes, as few people outside the academic world would care that Dupin existed without the wild success of Holmes. Holmes has been recreated too many times to count, and each actor brings his own spin. The radio recreations of Holmes began October 20, 1930 when William Gillette, perhaps the great popularizer of Holmes, took the role to a new medium. It has continued off and on since them on a variety of networks including, NBC (1930-33) (1934-36) (1955), Blue Network (1939-42), Mutual Network (1943-46), (1947-49), ABC (1946-47) (1949-50) (1956), BBC (1954, and many more years. ), BBC-WFMT Chicago (1959-69). Countless many others have featured Holmes, even after the official end of Old Time Radio in 1962. However, for the purpose of this series, we will focus exclusively on those renditions of Holmes believed to be in the public domain. Below is a profile of the actors to play Holmes in Old Time Radio. We will add new Holmes’ actors to our list as the podcast begins to share episodes featuring them. Louis Hector (1883-? ): Louis Hector, often spelled Luis Hector, was the third radio voice of Sherlock Holmes and the first to portray him on television, appearing in a 1937 adaptation of The Three Garidebs. In the later Nigel Rathbone series, Hector would portray Moriarity. Hector was a Broadway veteran, playing his first role in a Broadway play in “Unwritten Chapter” and his last in “Inherit the Wind.” As with Gordon, biographical information is scarce. The date of his birth can be ascertained, but not the date of his death, leading me to wonder if there was more than fiction to his appearance on a “Tales of Tomorrow” episode where a doctor discovers a serum that would allow people to live forever. Orson Welles (1915-85) I’m not even going to attempt to write a fitting biography to Orson Welles in this space. 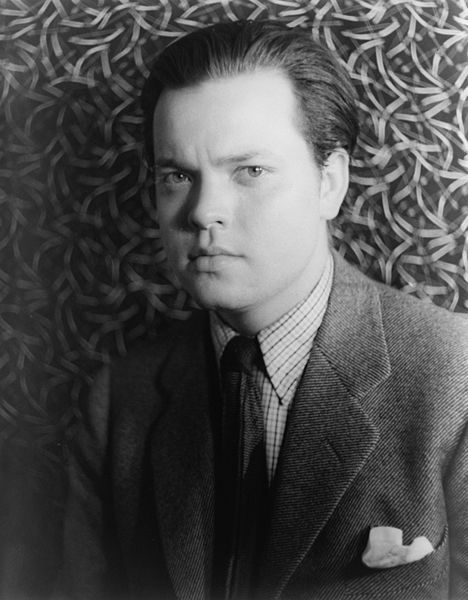 Welles was a pioneering star of radio and film, beginning with his role of the Shadow at age 22. His numerous credits include “The Mercury Theater on the Air” and its famous “War of the World” special. He also hosted “The Black Museum” and starred in “The Lives of Harry Lime” which was based on the infamous character from the movie, “The Third Man” for Towers of London Productions, which was a worldwide syndicator of radio drama. 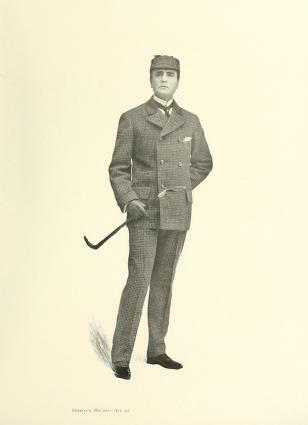 Welles played Holmes in a Mercury Theater adaptation of a William Gillette play. For “Towers of London” he took on the role of Professor Moriarity in The Final Problem. Thus, he joined Louis Hector in having the distinction of playing both Holmes and his arch-nemesis. 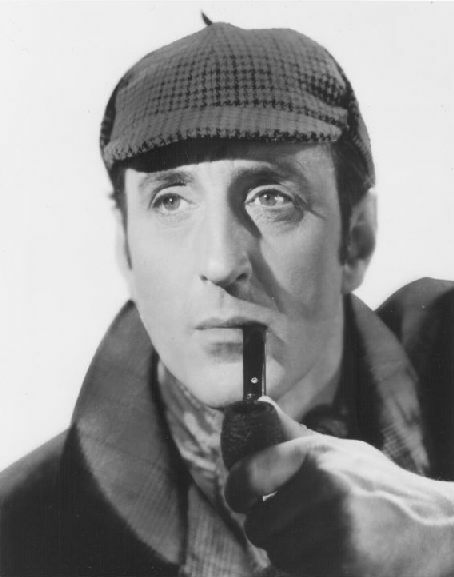 Basil Rathbone (1892-1967): More than 40 years after his death and more than 60 years after he last played Sherlock Holmes, Rathbone is viewed as the definitive Holmes by viewers around the world. However, Rathbone was more than just the movie face of Sherlock Holmes for 14 movies and his voice for more than 200 radio adventures, co-starring with his friend Nigel Bruce. Rathbone was a talented actor in stage, screen, and radio, a two-time Academy Award Nominee and Tony Award Winner, a man with three seperate stars on the Hollywood Walk of Fame, and most importantly a decorated war hero. Much more is available on his remarkable career at basilrathbone.net. 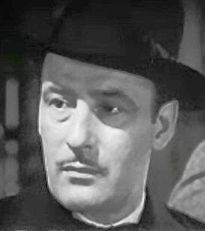 Tom Conway (1904-67): The Russia-born Conway was best known for replacing his brother, George Sanders and taking on the role of the Falcon on screen, as well as starring in two Bulldog Drummond movies. In addition to this, in the 1950s he starrred in the Mark Saber TV series. Conway is well-remembered as the narrator in Peter Pan. He also succeeded Simon Vincent Price in the Saint. Taking over for Basil Rathbone in Sherlock Holmes was a daunting task. Conway’s Holmes was quite similar to Rathbone’s, albeit some listener’s see Conway’s portrayal as too sarcastic and caustic. Conway’s life while successful in showbiz was marked by personal tragedy and alcoholism that led him to losing his wife and his brother cutting off contact with him in his later years. John Stanley (?-? ): Little is known of Stanley, other than that he was the child of two Americans born in England and grew up half a mile away from Baker Street. He came to America and began to work on radio in Rhode Island as a singer and later an announcer. Ben Wright (1915-89) Wright’s career was marked by a couple starring roles. Perhaps, his most noteworthy was starring as Sherlock Holmes in the final season of the New Adventures of Sherlock Holmes. 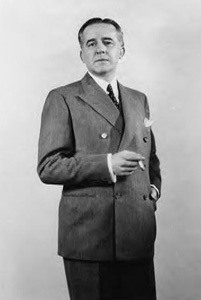 He also took on the role of Scotland Yard Inspector Peter Black in CBS’ Pursuit. However, he was known far better for his character roles. He was an indispensable man, particularly if the role called for a British accent. 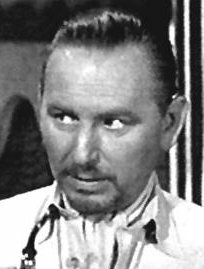 However, Wright could do quite a few dialects as evidenced by his 2 years playing the Chinese hotel clerk Hey-Boy on Have Gun Will Travel. Beyond recurring roles, he was used frequently on countless dramas. He made his first appearances on Yours Truly Dollar in 1949 and his last appearance eleven years later making him one of radio’s most indispensable people. 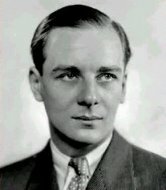 Sir John Gielgud (1904-2000): Gielgud was a famous actor and director known for his Shakespearean performances as well as his association with Sherlock Holmes co-star Ralph Richardson. Gielgud is one of only eleven people to have won an Emmy (1991), a Grammy (1979), an Oscar (1981), and a Tony (1961). His first film appearance was in 1924 and his last was in 2000. Dear Adam, I have this same copy of the “The Noble Bachelor” but my copy contains additional dialogue at the end, in which the actor playing Dr. Watson says, “In real life my name is Norman Shelley, my friend Carlton Hobbes played Sherlock Holmes.” The same recording is at the end of my copy of “The House of Three Gables. I have listened to both recordings side by side on my ipod and they are identical with your recordings, except for the fact that your recording does not have the additional actor identification at the end. I think, therefore that this might clarify some of the discrepancy in voice recognition you have expressed. These recordings are from the BBC recording that was broadcast from Chicago, and later sponsored by Berkley’s bank. I know that you will want this information, even though it means possible extra work for you! Can you tell me who wrote “The Missing Bloodstains”? Was it Doyle or was it Green and Boucher? If it was not Doyle, was it based on a Doyle story? #Just to express a huge appreciation for the special hour long Mercury Theatre production of the Sherlock Holmes podcast featuring Orson Welles. What a tour de force! Adam’s mine of information (fore and aft) add to the knowledge and enjoyment tremendously. Agree that this was like a play – and what an impeccable accent? We truly did lose a man of towering characterisation abilities to the star system. Am truly indebted to learn the importance of American actor, William Gillette, who first brought Holmes to the stage (with ACD’s permission). Astounded to discover Gillette formulated the phrase, “Oh this is elementary, my dear fellow”. As a Brit, great to know too, that as an American, he powerfully created the prototype Holmes on stage and for radio, which have been faithfully followed by a vast array of successive Holmes in similar mold. Adam – I love your podcasts! Thanks so much! I have been listening to otr and in particular, Sherlock Holmes and Hercule Poirot stories on tape most of my life. That is how my parents would put my brother and me to sleep when we were young. It is a habit that we have both carried through to adulthood. I am currently studying in Israel and since tapes aren’t common anymore, I was searching for something to put on my iPod to listen to when I fall asleep. Thanks for the really informative commentary and podcasts. I used to be Sherlock Holmes/Agatha Christie purist but I have started listening to Let George Do It, The Shadow and Thin Man. Anyway you could find some of the old Agatha Christies? Hi Adam, love your show, especially the Holmes, Let George Do It, and Nero Wolfe episodes. As I’m listening weekly, I’m also reading through Sir Arthur Conan Doyle’s stories and I discovered that the last line of “The Darlington Substitution Case” was taken verbatim from “A Case of Identity.” I appreciate that as the writers create their own stories similar to Doyle’s, they wisely borrow directly from Doyle himself. Thanks for all the time and effort you put into bringing these classic broadcasts back to life! I started listening to your show from the beginning and was a little put out. After all I have downloaded a lot of these shows myself and listened to them. Why did I need someone else to do it for me? Because I’m discovering new shows to listen to as well as info about the actors and episodes. I don’t think I’ll ever find a show that I like better than the Basil Rathbone Sherlock Holmes Episodes but I’ll be listening to find out. The mp3 files do not appear for GD0524 The Cadaver in the Roman Toga, GD0534 The Stolen Naval Treaty, GD0544 Case of Professor Moriarty and the Diamond Jubilee, GD0554 The Mazarin Stone, GD0559 The Case of Sudden Senility, and GD0574 The Case of the Lucky Shilling. Please tell me how I may download these six shows. I just wanted to say that I love the updates to the website! I’ve been coming here for several months to listen to all the Sherlock Holmes stories you have, and I really like the change you’ve made. Thanks for making all these shows available to us! !